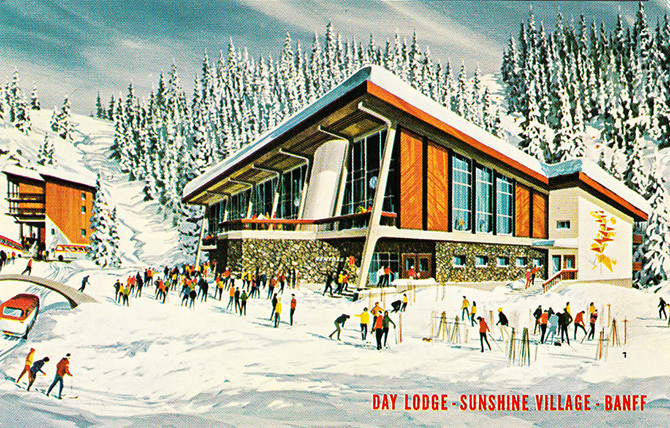 Day Lodge, Sunshine Village, Banff – Sunshine’s distinctive modern day lodge can accommodate up to 2,000 skiers. Sunshine offers some of the finest skiing in North America, from packed slopes to deep powder; a certified Canadian Ski Alliance Ski School, complete modern lodging facilities, double chairlift and T-Bars. 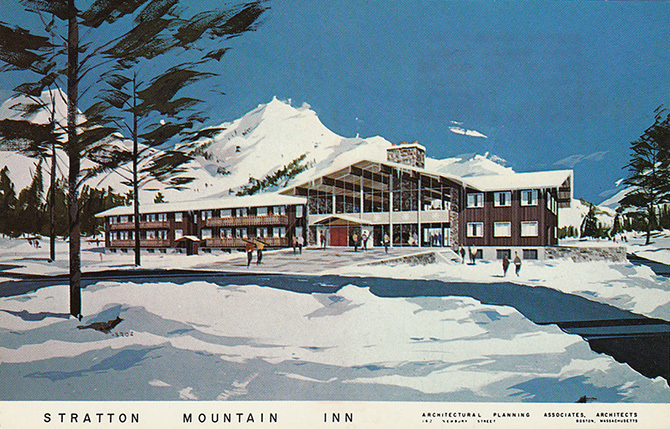 Stratton Mountain Inn, Stratton Mountain, Vermont – 70 Electrically Heated Bedrooms, Bunk Rooms, Recreation Room, Cocktail Lounge, Dining Room, A 3 minute walk to the ski slopes Rendering by Architectural Planning Associates of Boston, Massachusetts. 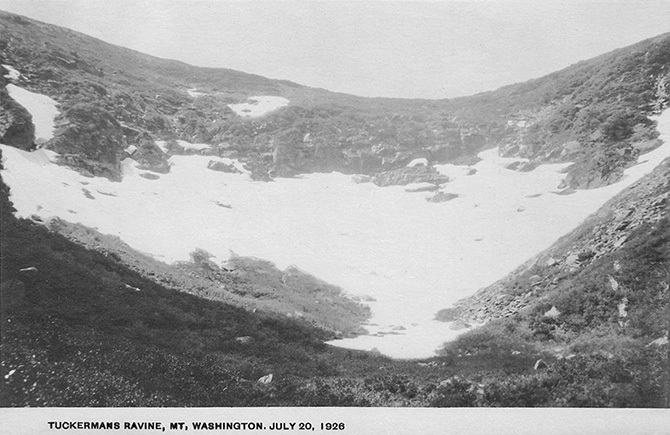 Vintage postcard of Mount Washington, New Hampshire showing snow left Tuckerman Ravine on July 20, 1926. 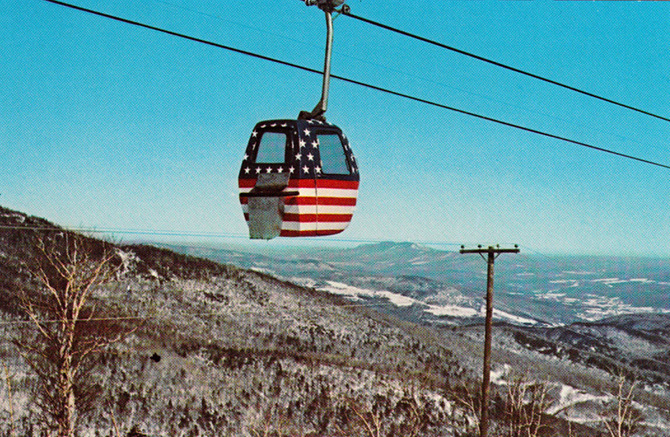 Sugarbush Valley, Warren, Vt. A colorful Gondola returning from 4031 Ft. Lincoln Peak. Perhaps the only thing that could top this display of patriotism in the Mad River Valley is the annual Warren 4th of July parade! 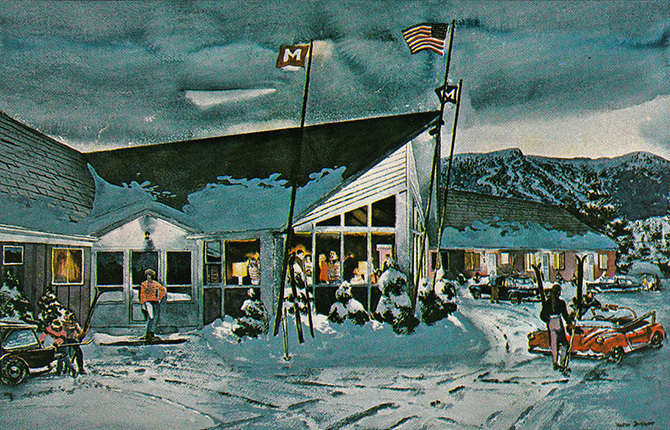 2015 will be the 67th edition of this spirited and uniquely Vermont celebration. 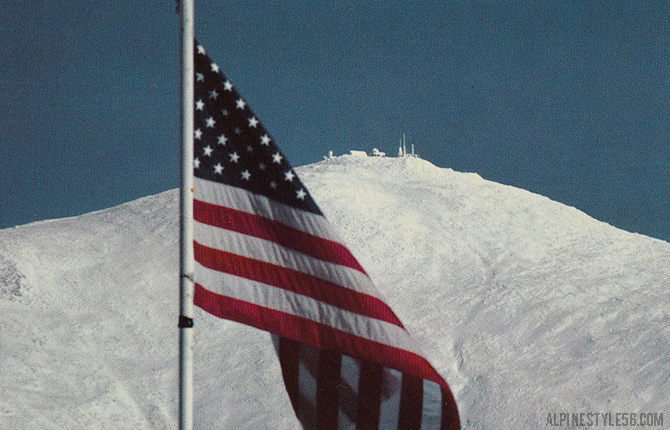 Visit the Mount Washington Observatory web site to check out weather conditions and happenings on top of the Northeast’s highest peak. 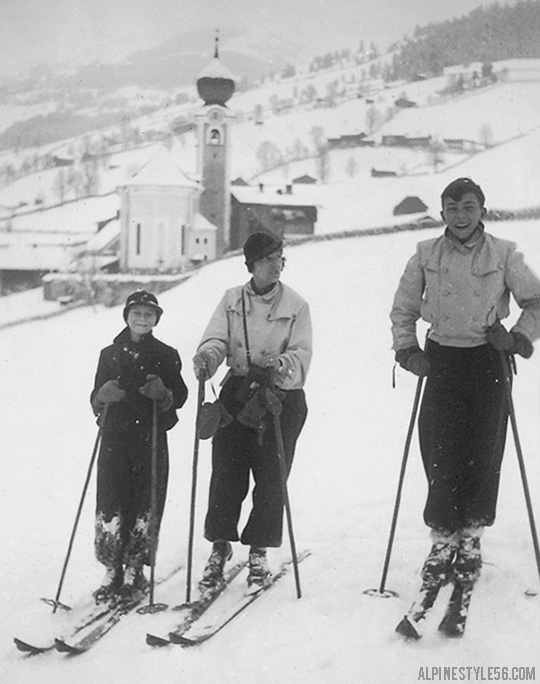 This image is of a very tiny vintage snapshot from Saalbach, Austria in 1938. 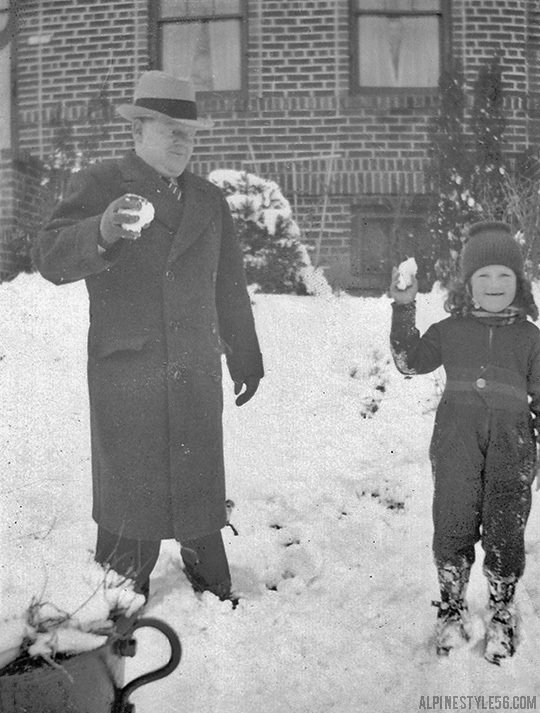 I did not realize until I scanned and enlarged it – that it is an amusingly realistic (and timeless) capture. 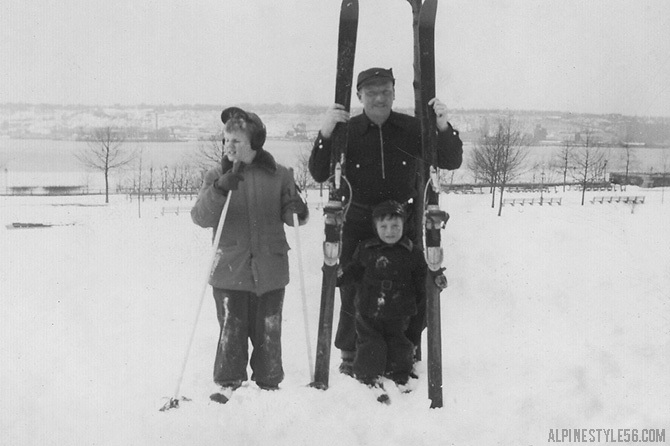 Unlike the idyllic happy poses generally feigned for photos – you see that Mom is all done with her sons’ nonsense! I am not a mother but imagine I, too, would often have this look on my face. Anyway, this revelation made me laugh. Be extra nice to your mom today! Happy April! Today being a time of pranks, tricks and hopefully a bit more humor than the average day – I want to share these playful vintage images by David C. Baker. Though I have had these signed postcards for years, this is the first time I have researched the artist. It is wonderful to learn that Baker was from the Mt. 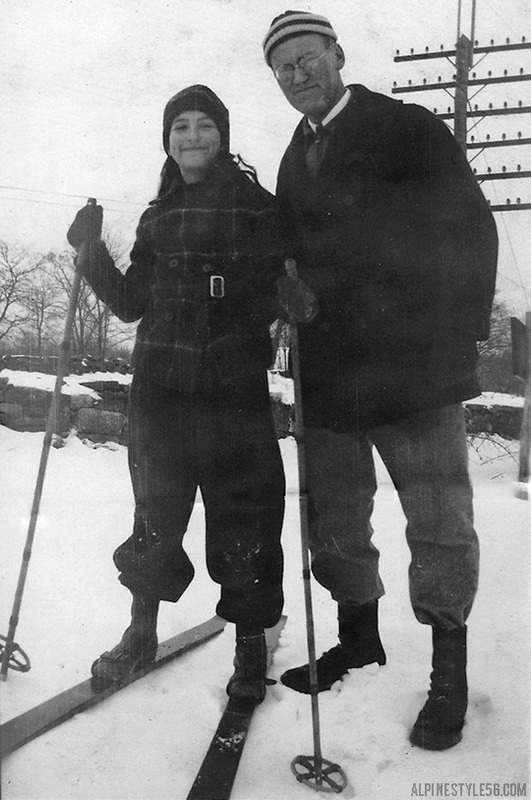 Washington Valley and worked from his studio in Jackson – arguably the heart of New Hampshire ski country. 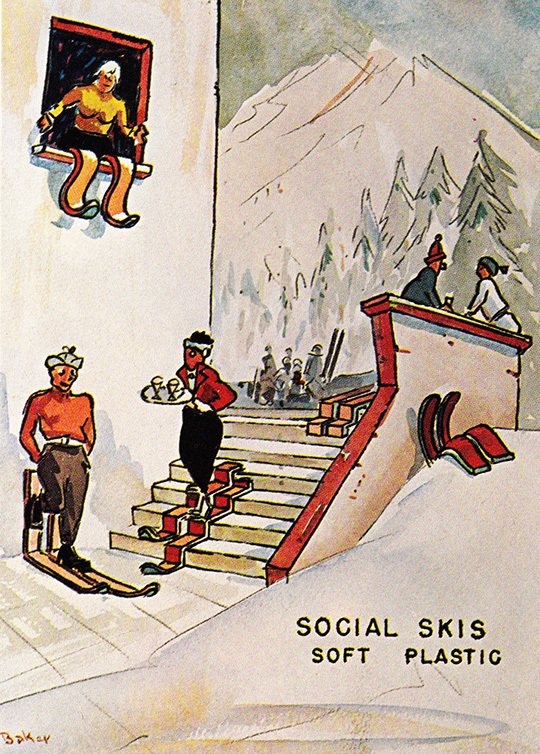 Presumably, winters in the White Mountains – ingrained with ski culture – were the inspiration for these witty scenarios. Green snow! 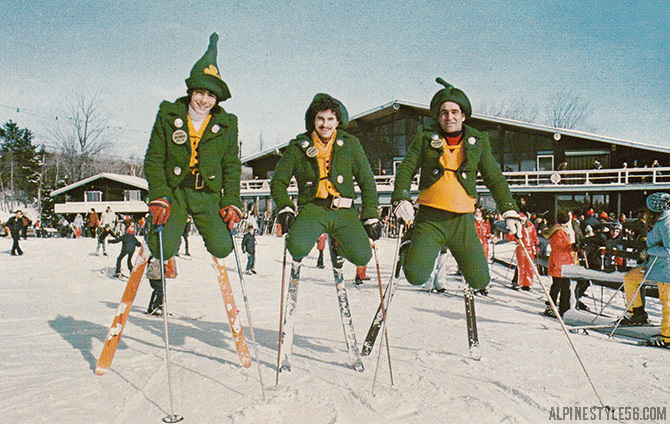 Brodie Mountain Ski Area of New Ashford, Massachusetts — also known as Kelly’s Irish Alps — was so committed to an Irish heritage and theme that the resort would make green snow to celebrate St. Patrick’s Day. 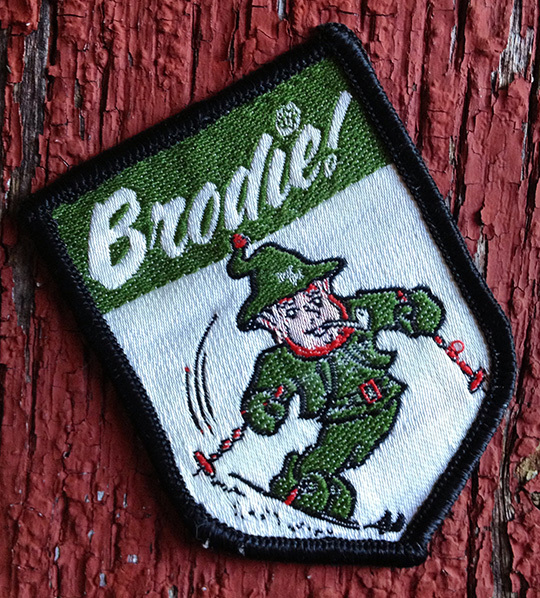 Despite top-notch snowmaking and this legendary annual tradition, Brodie closed in 2002. 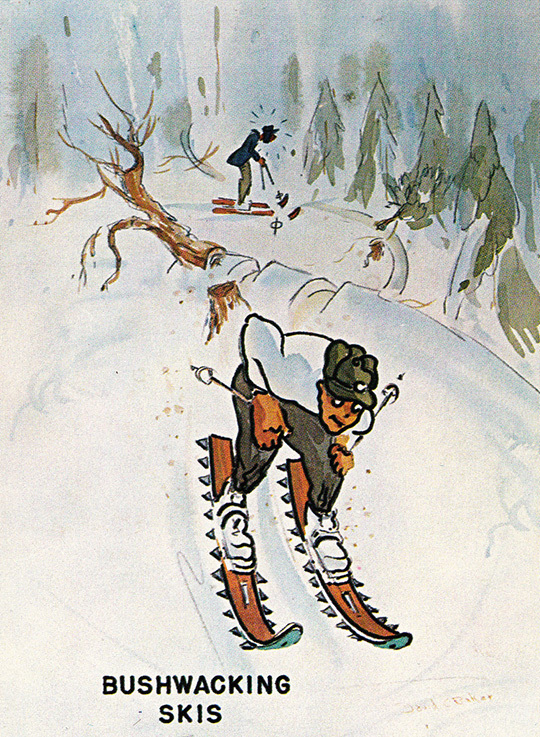 Please read more about this Lost Ski Area at NELSAP. 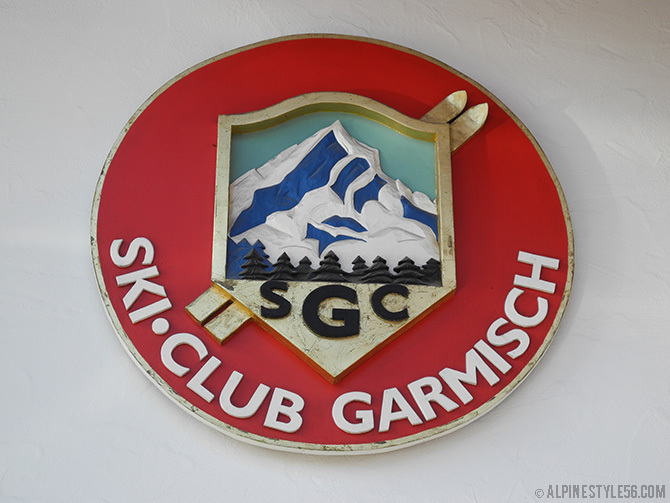 This is the second consecutive weekend of FIS World Cup ski races at Garmisch-Partenkirchen with the women racing downhill today and SG tomorrow. 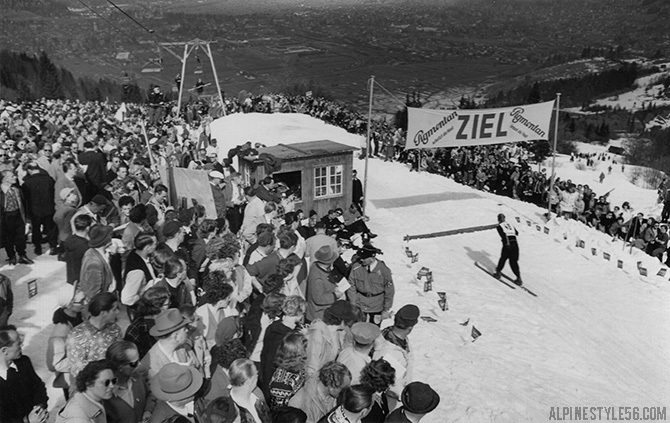 The finish area may have changed but the course remains a legend. Click here and look for History to learn more about the Kandahar race. 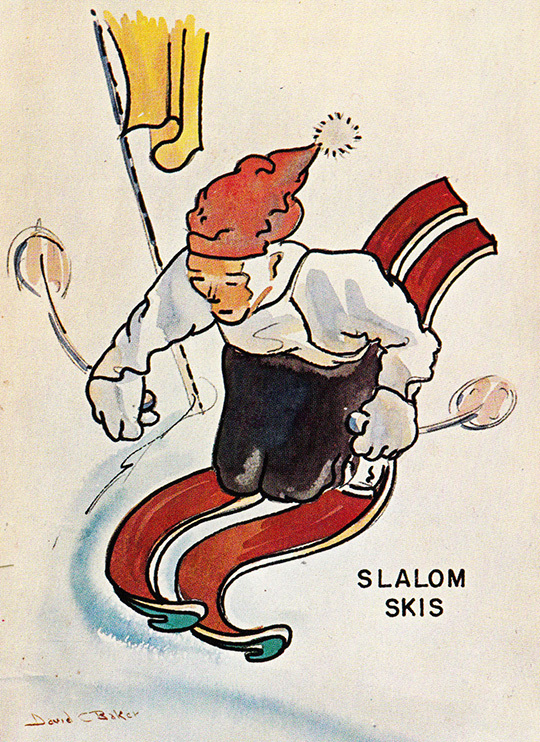 The 2015 race brochure gives a heavy nod to the heritage of this Bavarian ski tradition. 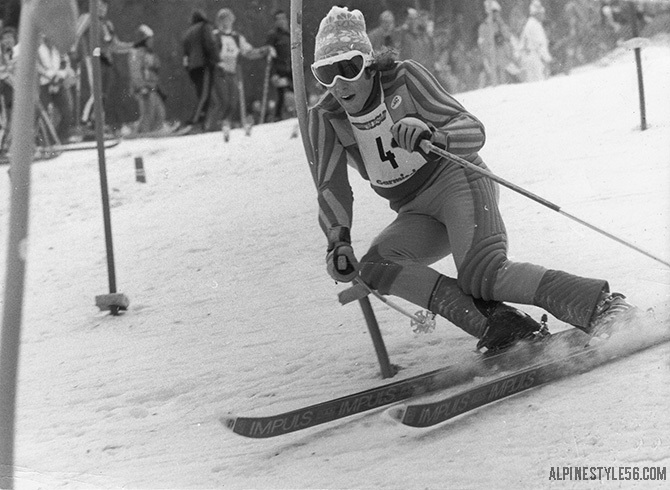 Susanne Riesch is the featured female racer. Can anyone identify the male racer? 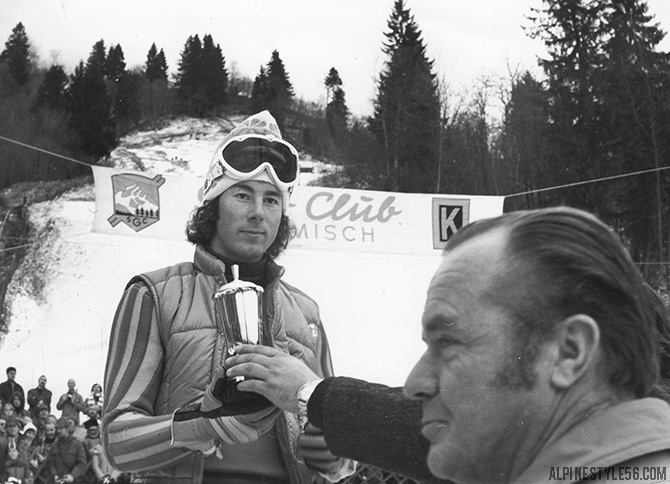 x x x x These found photos feature a young Ingemar Stenmark racing to third place in the 1976 FIS World Cup Slalom at Garmisch-Partenkirchen. 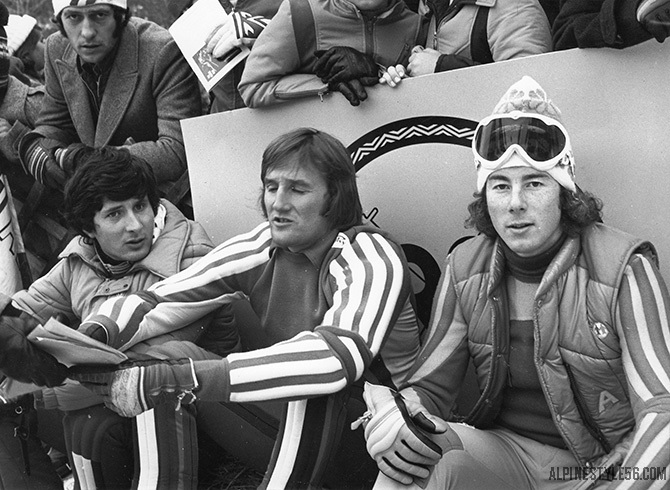 Stenmark shared the podium with two Italian racers, Piero Gros in second and winner Fausto Radici. Also present was Stenmark’s trademark knit hat by Sätila of Sweden. 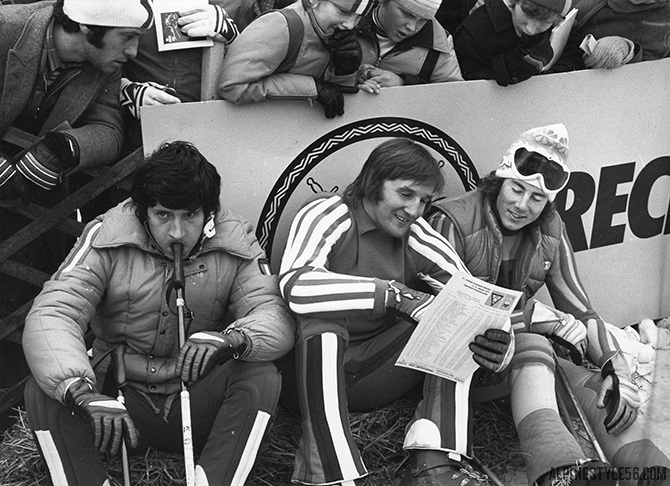 In terms of treasure hunting, I was beside myself to find – in a pile of otherwise unremarkable vintage photos – these images of the ultimate ski legend! The Men’s World Cup tour speeds into the 2015 edition of the Kandahar Rennen at Garmisch today with the Downhill; Giant Slalom action follows on Sunday.